The Mercator Atlas of Europe from Walking Tree Press represents a remarkable publishing achievement, combining the best of historical and cartographic scholarship with modern printing technology to produce a unique and elegant set of seventeen facsimile maps by one of history's greatest mapmakers. 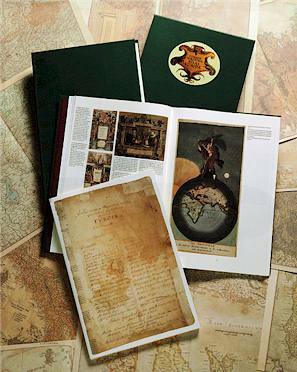 Completing the set and complementing the map facsimiles, the accompanying book contains essays contributed by an international team of distinguished map scholars. With more than 100 original-color illustrations drawn from collections throughout Europe and the United States, the companion book places Mercator's first-known atlas in historical perspective and offers the reader a unique glimpse into the geography and cartography of sixteenth-century Europe.